As part of any job search, a resume plays a significant role in getting your foot in the door. If you are reading this, you have probably finished with nursing school. Congratulations for making it this far. Now, comes the challenge of securing that position you’ve coveted for a long time. How do you make your new grad nurse resume stand out from your competition? 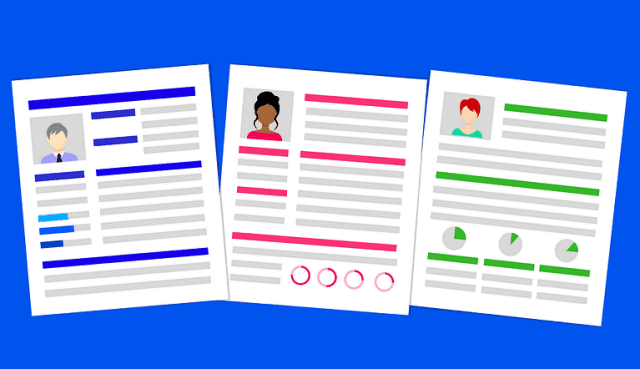 While you may find numerous articles on the components of a winning resume, you also need to know the things that derail your efforts of selling yourself. Read on to discover them. You may not have as much history to highlight as would a seasoned nurse. However, you can demonstrate how your nursing school experience shaped you to be the best candidate for the position. Determine the attributes that the recruiter desires in an ideal candidate and share information on where you put them to practice. Each job posting requires a unique new graduate RN resume. Since roles may vary from one facility to another, even in the same hospital unit. Take this into account and customize your resume accordingly. Research on your prospective employer and include pertinent details that match your skills and experience. It could be your familiarity with their computer charting system or interest in addressing a challenge they are currently facing. The must-have details, on any nursing resumes include education level, contact information, certifications & licenses, accomplishments, work experience, honors/ awards, and professional affiliations. Unrelated jobs, hobbies, and other personal information are irrelevant. Remember, the reader only spends a few minutes on each resume, to determine its fate. Keep your content concise. It’s better to replace it with a summary statement. It acts as an elevator pitch for your suitability for the job. Just give a summary of your accomplishments. Also, showcase the skills and experience that you may bring to the table. Flaunt your credentials. The reader doesn’t have to go through different parts of the resume to get to know you. Tangible facts about beneficial outcomes add value to your resume. Share real-life examples of the challenges you overcame, and pinpoint the results of your successes. Give details of any renowned work that you have done. This information may be what separates you from your competitors. It could be the number of procedures you performed during your clinical. It gives the reader a picture of your skills. Identify the proper words to use in your resume from the job description. It will help you connect your information with the position you are applying to. In doing this, you should, however, keep from overusing certain words. Choose those that showcase your strongest attributes and expound on them. Also, remember to use action words in describing yourself and your achievements. It’s an essential step in the creation of any written piece. Check your resume for grammar or spelling errors and make the required changes. Give other people to review the content, too. Replace your paragraphs with bullet points. They make the information provided, easy to read. Don’t start with dates when listing your education or work history. You don’t need to include the Reference section in your resume unless it’s requested. Be specific in the details you share and quantify them where possible. Also, keep from using too many personal character traits. Instead, focus on highlighting your professional skills and goals. Good Luck! I hope you enjoyed this blog post about how new nursing graduates can maximize their resume and chances of getting a nurse job. Interested in more articles about jobs in the medical profession?